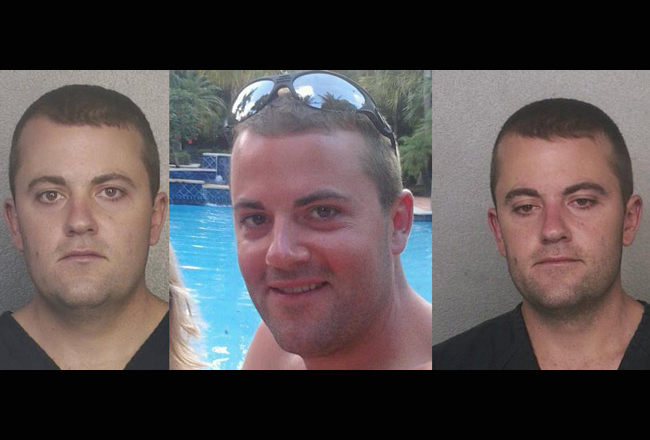 William Styffe’s mugshots from previous arrests and from his Facebook page. 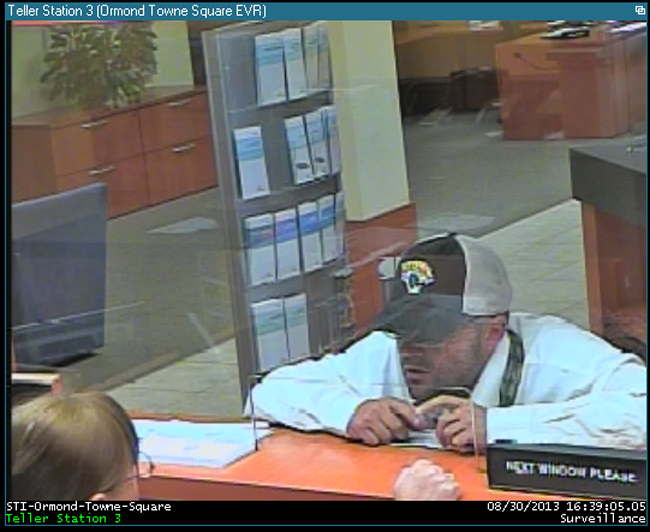 William Carl Styffe, 32, had a cavalier air about him as he allegedly went about robbing banks–or, in his lone attempt in Flagler County, trying to rob a bank–in Volusia and St. Johns counties. He would approach a teller, say the bank was being robbed, demand money, get the money, then walk out, hop in a silver car and drive away, never once showing a weapon. 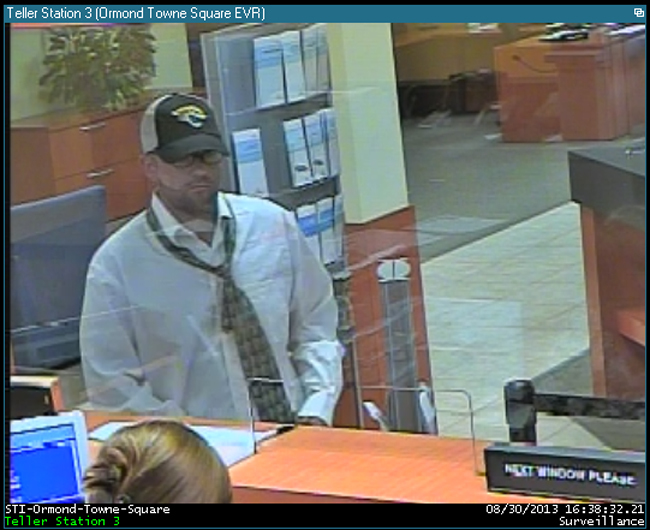 The afternoon of Aug. 30, Styffe is believed to have struck at Palm Coast’s Hancock Bank, in the Palm Harbor shopping center. The teller did not cooperate in that case, and Styffe fled, heading south. Less than an hour later, he was allegedly more successful at a SunTrust Bank on Granada Boulevard, where he got the teller to hand over a considerable stash of cash (though it’s not clear whether the money was in small or large denominations). 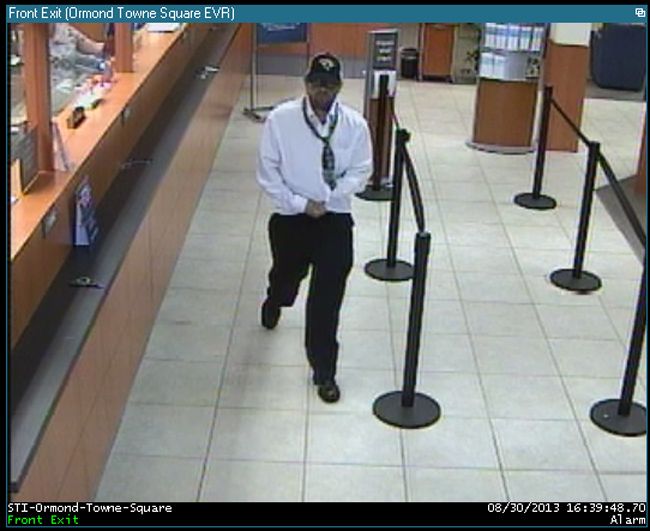 Surveillance images show him gathering up loose and bundled cash. He made no attempt to cover his face. He wore glasses, looked like he hadn’t shaved for a couple of days, and sported a loosened tie over a white shirt. He fled in a silver car. 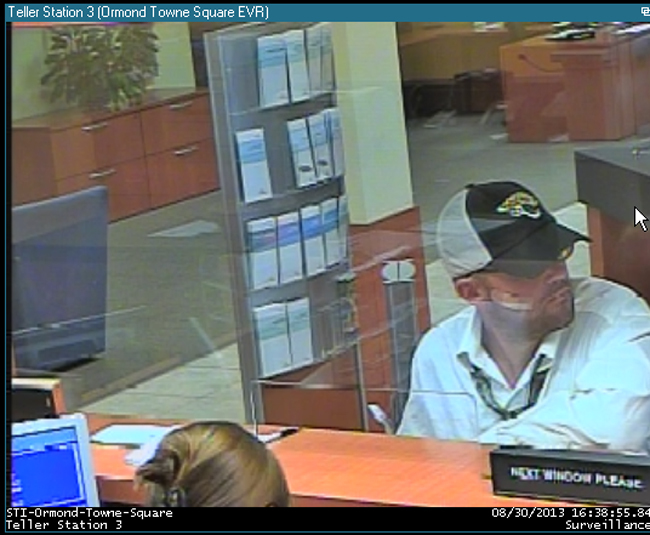 Four days latter, he struck in the same way at Compass Bank on a U.S. 1 in St. Johns County. Monday morning, U.S. Marshals arrested Styffe in Palm Beach County. Styffe is a resident of Coconut Creek, and has been arrested several times on charges of possessing or trafficking Oxycodone. A witness at the bank robbery in St. Johns got the tag number of the silver vehicle the bank robber fled in. Further investigation revealed that, prior to the robbery, the suspect removed two tags from vehicles parked at Flagler Hospital in St. Johns in an effort to conceal his identity, according to a St. Johns County Sheriff’s report. Evidence obtained at the scene of the robbery identified Styffe as the possible suspect, the St. Johns Sheriff’s Office reports. An arrest warrant was obtained by St. Johns County Robbery/Homicide detectives late last week. He was tracked to South Florida. Another addict who is going to spend a huge chunk of his life in prison because he didn’t get the help he needed after his first couple of arrests.